No matter how hard an artist may try, once the 21st century arrived it became impossible for their respective record label not to saturate the buyer with compilation after compilation after compilation. The music business had been in a downward slump for the past few years, and it seemed more profitable to repackage older songs in bright new packaging, maybe add a new song or two - then to put out a new release by an artist. Only six years after the questionable integral set titled Love Songs was pushed to the public, another set of hits from Elton appeared to capitalize on the craze. It must be pointed out, though, that this was a very good retrospective of the career of Elton John for the past 32 years. For the consumer who may not have much Elton John, it can be fairly said that this is the best of the best that is out there. It's from a fan's perspective, that leaves the release questionable, however. For example, of his first two greatest hit's packages, almost everything is here (We don't get Border Song which never really was a hit, nor do we get Pinball Wizard or Lucy in the Sky with Diamond which were not Elton John originals). 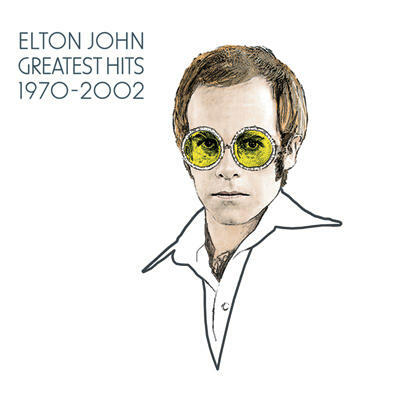 Elton's third Greatest Hit's release was a little bit more thin in terms of quality, so it's not a total shock that many on that compilation is absent. Therefore, why not release a "Greatest Hits Volume 4" where the last one left off? Yes, the period after the third release concluded is included here, but to make all of this fit on two discs, his latter period is seriously compromised. To make one further scratch their head, a "bonus" disc was included with four songs that are not originals, yet different versions done either live, with a guest artist, or both. None of these alternate songs are as good as the originals (with the exception, maybe, of Live Like Horses) and three of the four of the bonus tracks are already on the main compilation anyway in their original arrangement. This leaves one to again ask, "Why not fill the third disc with the actual hits that couldn't fit on the first two discs!?" Of course had something sensible like that been done, it might have been classified a "box set" which Elton already had. Yet he also already had 3 greatest hits compilations as well, which leaves us no better off than when we started this discussion.